Dinner at the Krug Room. Krug Grande Cuvée - I forgot to check the ID and find out the base year. Honestly, I would be happy to drink Grande Cuvée any day of the week... and often I prefer it to some of the other offerings from the House of Krug. Tonight I loved the toasty nose, and the way the maturity of the wine hit my palate. 2002 Krug - perhaps my palate was a little off tonight, but I really didn't appreciate this wine tonight. I thought it was pretty flat on the palate, with just a little bit of acidity. A hint of toast in the nose, but otherwise totally unremarkable. 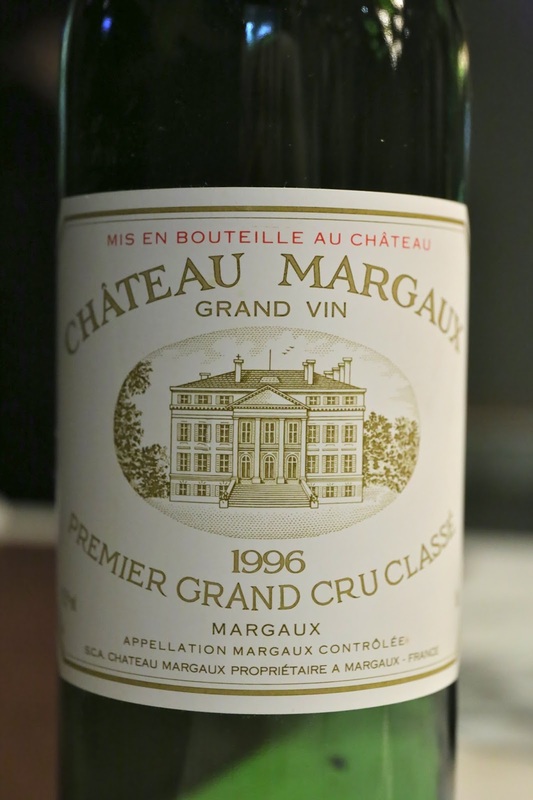 1996 Margaux - what a beautiful wine! 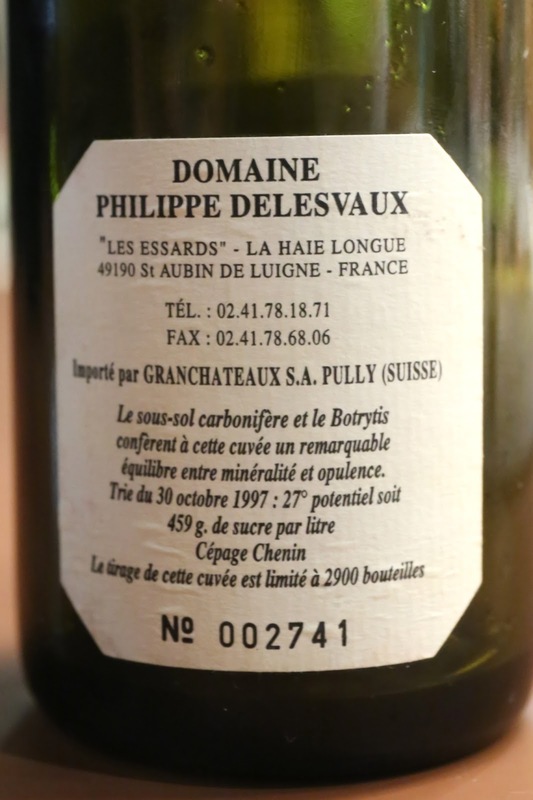 Smoky nose with pencil lead, savory minerals, soy sauce, some sweet fruit, eucalyptus, and a little sweet grass. Silky tannins on the palate. I would have given this a near-perfect score tonight. Decanted just under two hours prior to serving. 2003 Colgin IX Estate Proprietary Red - decanted for just under 2½ hours prior to serving. Honestly I was disappointed in the wine I brought, although the others - including Uwe - seem to have enjoyed them. Maybe because I left the wine in my glass for much too long before taking the first sip, but I didn't get very much out of my first glass. I got a little more from my second glass, which showed some coconut and vanilla oak that I was expecting from this wine. Still very tannic at this young age. 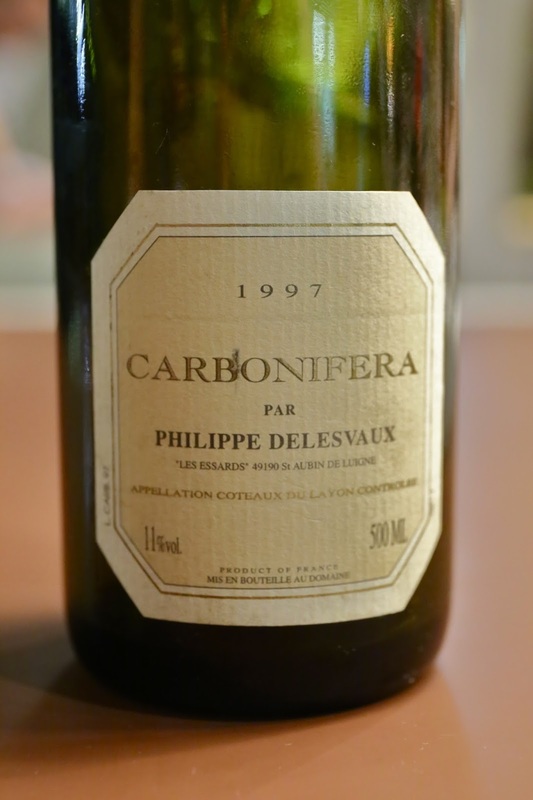 1997 Philippe Delesvaux Carbonifera - as the back label states, this was harvested on October 30, 1997, with a whopping 27% potential alcohol and a ludicrous 459 g/L of residual sugar. As a reference, Yquem usually comes in at 1/3 of the amount of residual sugar... Totally unctuous, viscous in terms of texture. Loads of honey, nutty, and orange blossom turning into rich marmalade on the nose. Very, very sweet... getting to the point of tasting like honey. A real treat to have tasted this monster.